Qual and quant research project delivery, consultancy and training specialising in media, entertainment, sport, leisure, charity, third sector, online, retail, employee, skills. All enquiries welcome. All types of market research project: qualitative and quantitative, b2b and consumer. 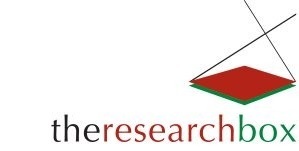 We are market and social research company, based in Cardiff and Bristol, providing a full range of quantitative and qualitative research services including online surveys, panels and communities, face to face interviews, telephone interviews and focus groups. Qualitative & Quantitative Research in Consumer & Social sectors. Spark is a full service research agency with offices in London and Dublin. While UK and Ireland are our primary research markets we conduct research in 50+ markets on an ongoing basis. Our team is a mix of senior researchers and ex-client side marketers. Protel has developed an outstanding reputation for its Market Research Fieldwork services, building a strong presence in this area due to the quality of the service we deliver.